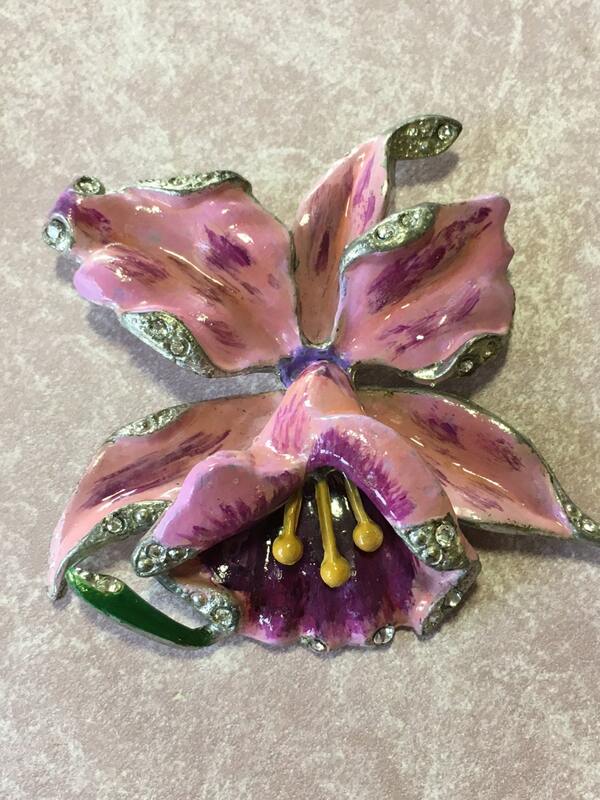 Beautiful, Elegant signed Reinad Enamel Orchid brooch. This brooch is approx 3 X 3.5 inches, quite a statement piece. This brooch has been professionally restored as close to original as possible keeping all original enamel in tact. This piece is NOT heavily rhodium plated as you might think it would be. The back finish however is in great condition for its age. 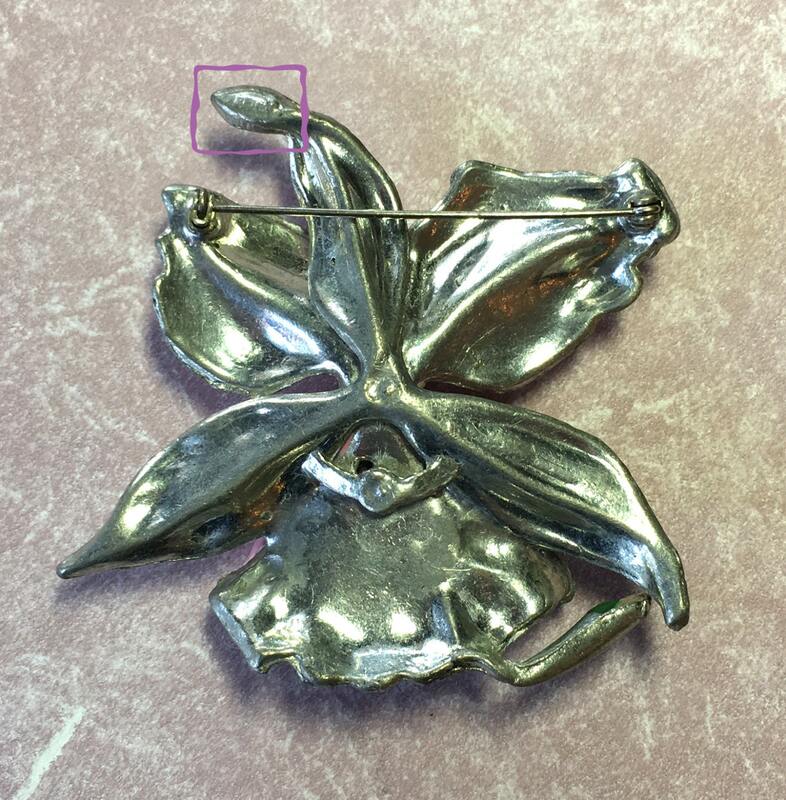 I haven't been able to find a patent for this piece as Reinad patented very few pieces but I believe this to be from around 1940 as The Enamel Orchid brooch appears to be a popular design patented by several important costume jewelry manufacturers such as Trifari and Boucher. There are some interesting articles about the Reinad Novelty company online if care to learn more about them. They used the name Chanel Novelty for one season but reverted back to the original Reinad signature in 1940. Reinad signature is highlighted in the lavender box on the photo. 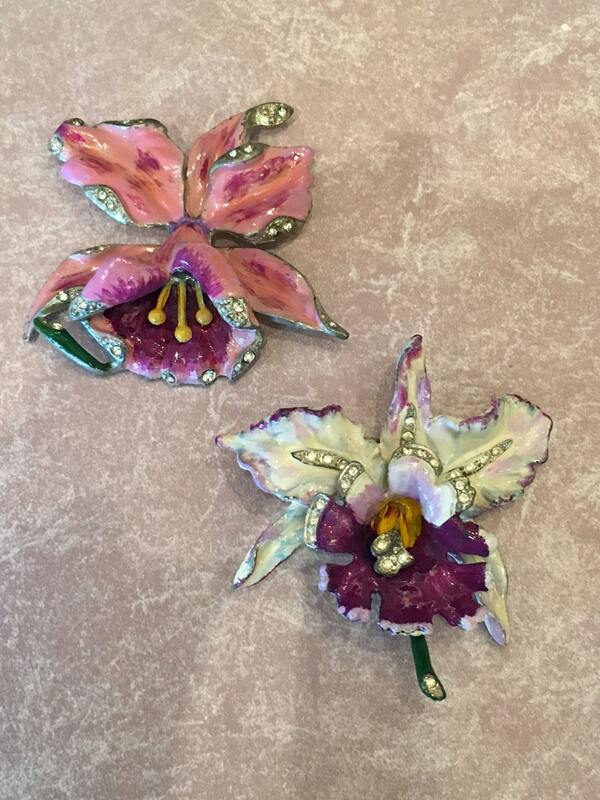 Wonderful Orchid brooches like this are difficult to find these days so this one will probably go quickly. I have an Unsigned Beauty that is pictured in this listing as well, it is a separate listing and can be accessed by viewing my site. Additional photos available upon request, convo me please.